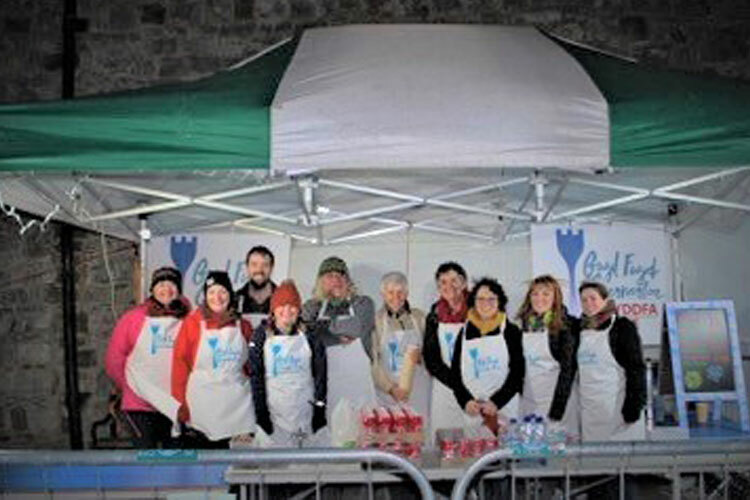 The annual Food Festival is held by the Caernarfon Food Festival Group, made up of local volunteers who meet regularly throughout the year to put arrangements in place for the upcoming festival. The group was formed in February 2015 following a series of public meetings in the town. Nici Beech was elected Chairperson, Eleri Lovgreen as secretary and Trystan Iorwerth and Yasmin Khan as treasurers. Logo designed by Iestyn Lloyd. The first thing we did was organise a competition to design a logo. The logo was designed by Iestyn Lloyd of Cwmni Da, inspired by the efforts of pupils from Ysgol Syr Hugh Owen. The official logo was unveiled at our launch event in May 2015, exactly one year before the first festival held on 14 May 2016. Now, two years later, with original and new members, the group is determined to continue to hole the festival that was extremely successful in 2016 and 2017 (attracting £10,000 and £15,000 visitors to the town!). However their ability to do so fully depends on raising sufficient funding and the efforts include applying for sponsorship from appropriate sources and proactively raising funds, mainly by organising and holding a series of events in the months leading up to the festival. 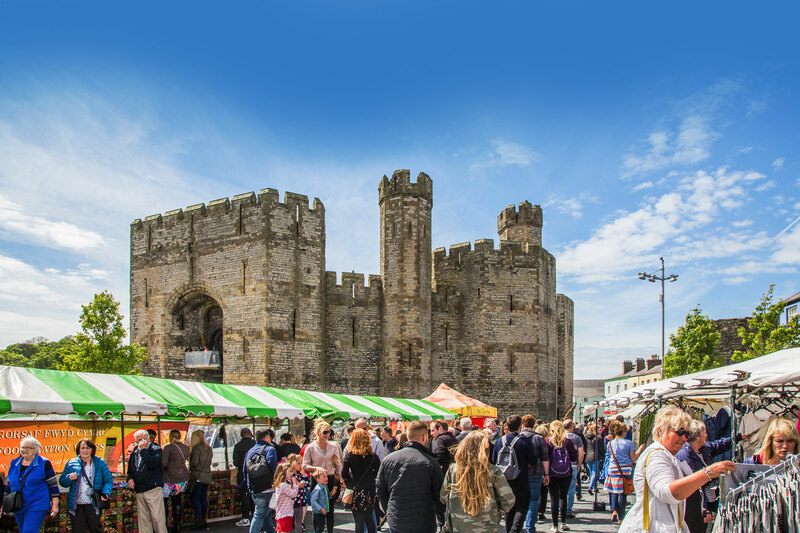 Based on the previous food festivals held, it is estimated to cost over £25,000 to hold the 2018 Caernarfon Food Festival. As we are a completely voluntary venture, we really need your support in our events. 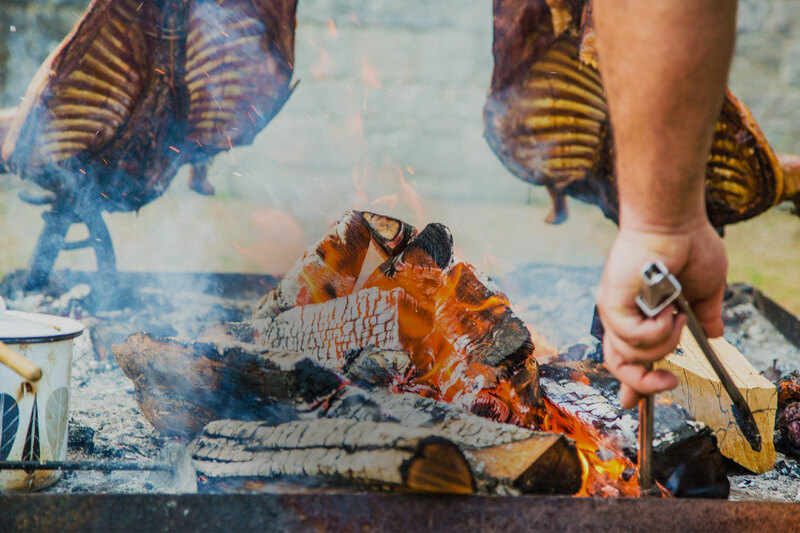 Please visit our future events section for information on the upcoming events that you could support, and to hear about our previous events, please visit this section. These groups meet regularly to concentrate on their specific areas before coming together in the main group’s monthy meeting to propose and agree their recommendations. 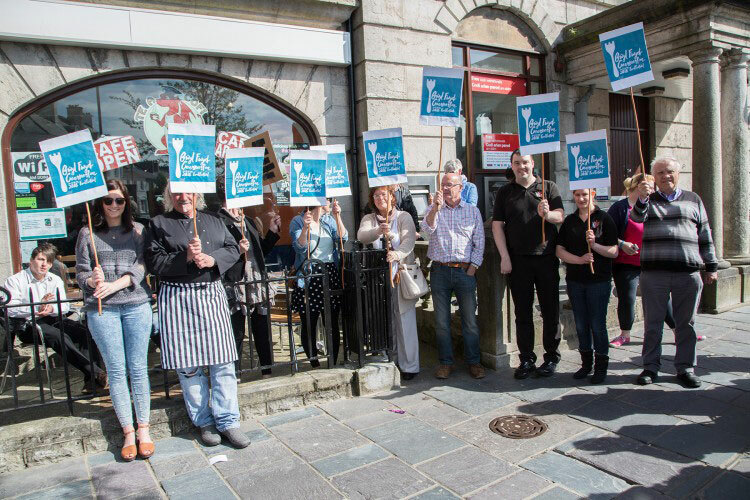 The group members come from all sorts of different backgrounds, but what unites us is our fondness of food and our love for Caernarfon! You could volunteer on the day of the festival and in related events – add your name to our mailing list (by visiting our homepage) to receive the latest information and requests for assistants! 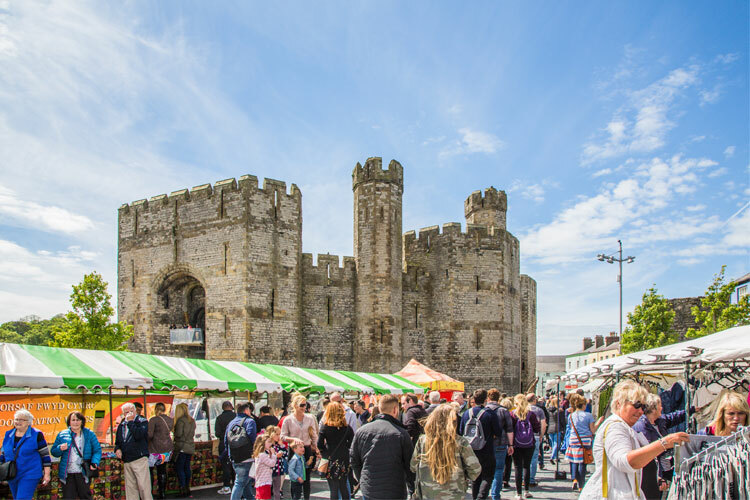 On the festival day, Caernarfon is a food lovers’ paradise with live cooking demonstrations, freshly cooked food, plus many stalls offering food and drink to sample and buy and fun activites for the whole family. 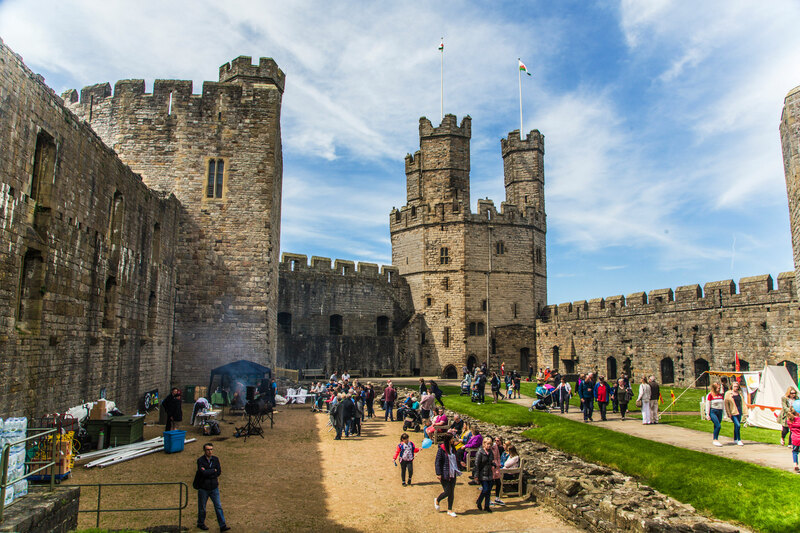 Previously, the event was widely spread across different parts of the town, with the Maes and the car park below the castle as focal points. 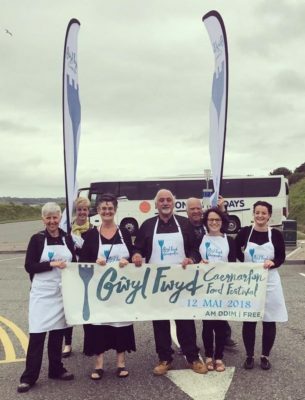 However, in 2018 Gŵyl Fwyd Caernarfon Food Festival will grow and expand to new locations in the town! For further information, please click here.